A copy of high school leaving certificate – a document entitling to undertake studies in the country of its issue. On request the applicant is obliged to provide apostille. 2. The application will be verified. 3. Rector for Didactics, having consulted the Dean/The Director of the Interfaculty Studies shall take a decision on your acceptance. 4. The „Letter of admission” will be sent to you including necessary information on the procedure. 5. Tuition fee shall be paid by you. 6. An invitation letter, if necessary, will be issued for you. Medical statement translated into Polish, certifying that there are no counter indications to undertake the studies at the chosen faculty. – Foreigners from the UE member states or EFTA member states are obliged to present The European Health Insurance Card, issued in the country of origin. – Foreigners from countries other than EU member states or EFTA member states are obliged to have an insurance policy against sickness and accidents or sign an agreement on voluntary health insurance in Narodowy Fundusz Zdrowia (the Polish National Health Fund) immediately after starting the studies. 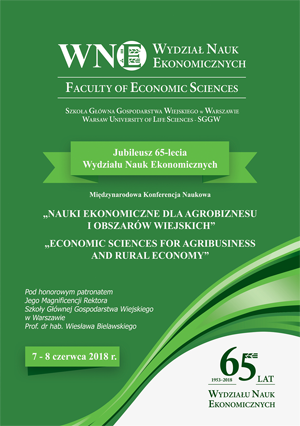 If you are considered to be of Polish descent according to regulations on repatriation, the fees are paid by the university or the organisation unit conducting the doctoral studies. – Original version of higher education graduation diploma, together with supplement/ transcript of records (a specification including the subjects taken, number of hours and grades), entitling to undertake second-cycle studies in the country of its issue. The Diploma must bear an apostille. – Original of high school leaving certificate – a document entitling to undertake studies in the country of its issue. On request the applicant is obliged to provide apostille. Documents issued in languages other than Polish or English must be translated. The translation shall be made or certified by the Polish Consul or by a sworn translator, entered into the panel of sworn translations of Polish Ministry of Justice. 8. Your diploma will be in the process of recognition for further education. The candidates are obliged to provide one of the following documents certifying their knowledge of English on B2 level or higher according to global scale of „Common European Framework of Reference for Languages: learning, teaching, assessment (CEFR)”. Accepted candidates shall be informed via e-mail. Candidates are to contribute additionally a single fee for the first year of studies increased by 200 Euro.